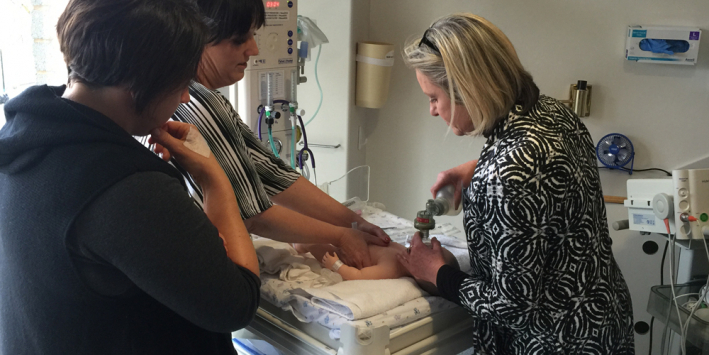 The program delivers specialised and tailored education to maternity and newborn care clinicians in level 2-4 Maternity Services throughout Victoria. This multidisciplinary clinical education session is facilitated on-site within the hospital’s birth suite and clinical education area. The purpose of the program is to build upon the existing internal clinical education and professional development in-situ at level 2-4 maternity services including Practical Obstetric Multi-Professional Training (PROMPT), through having ‘access to independent clinical expertise to help identify deficiencies in care and focus attention on opportunities for improvement’ – Targeting Zero (2016), recommendation 5. Registration is open to doctors, midwives, nurses, paramedics and students. CPD Points and Procedural Grants are available for attending this program. Download the 2018 MANE CPD Allocations document below. The 2019 locations of MANE programs in Victoria are shown below. If you or your service would like to facilitate a MANE program in 2019, please contact the MSEP team for more information and dates.